The Museum is proud to announce the start of a new series of lectures and presentations that is being managed by Museum Curator Mike Machat. Mike is responsible for having painted all the lovely murals we have on our walls and is as skilled an aviation historian as he is an artist. Titled the Speakers Series and Coffee with the Curator, the two programs will trade dates over the coming weeks and months. The first of the Speakers Series is titled “Wonderful World of Helicopters” on Sunday, February 17th. 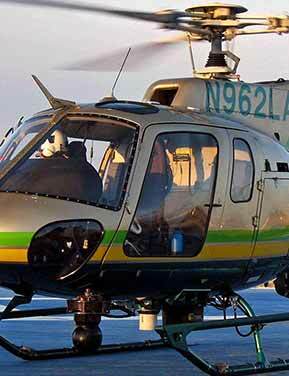 Presenting an informative program celebrating rotary-wing aviation, LA Sheriff’s Department Command Pilot SGT Morrie Zager will give an in-depth presentation on helicopters, and how they are used today for rescue, law-enforcement, and a host of other missions. The presentation will be followed by a discussion about helicopters plus an audience question-and-answer session. Please join us in the Museum theatre for this terrific program on Sunday, February 17, 2019 at 1:00pm! The lecture is included in the price of admission.